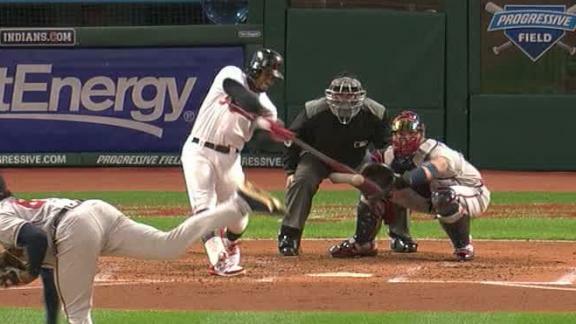 Francisco Lindor picks up a single in the 2nd inning for his first hit of the season. 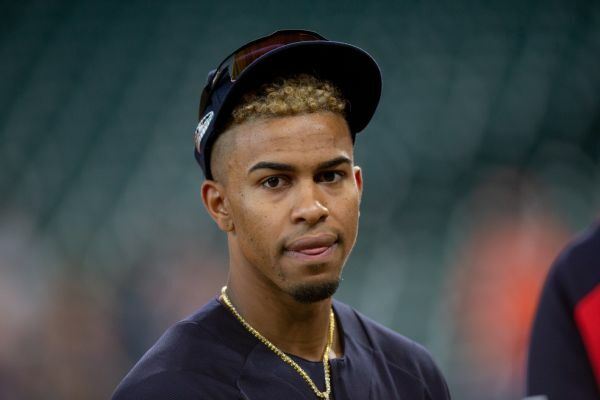 Indians shortstop Francisco Lindor played catch with a trainer Wednesday but is expected to miss at least two more weeks with a sprained left ankle. 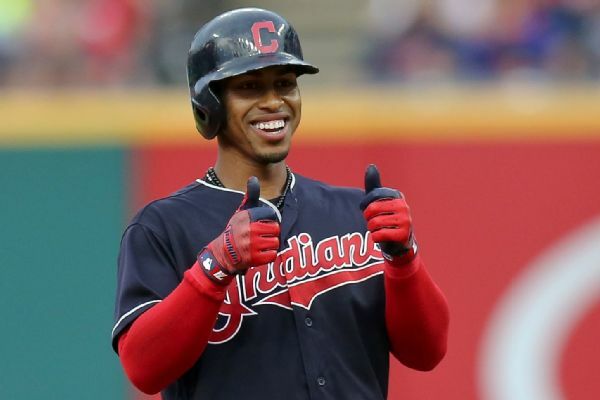 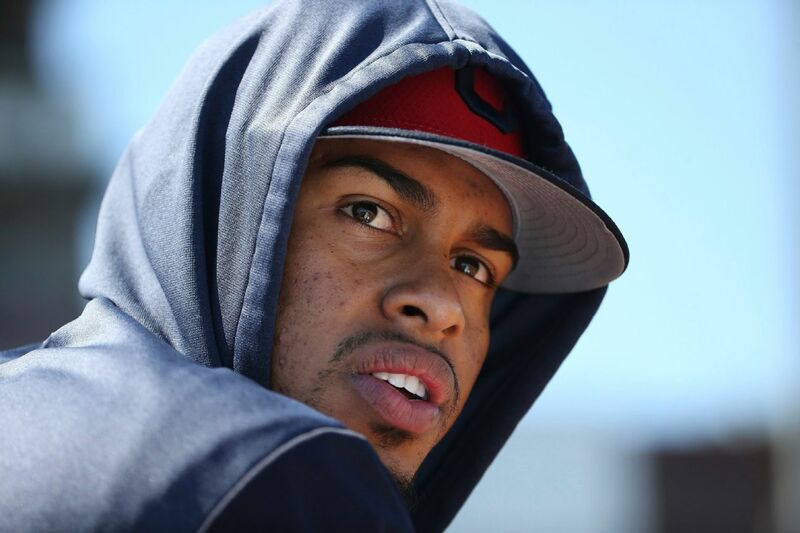 Cleveland Indians shortstop Francisco Lindor will miss more time due to a sprained left ankle suffered in a minor league scrimmage last week. 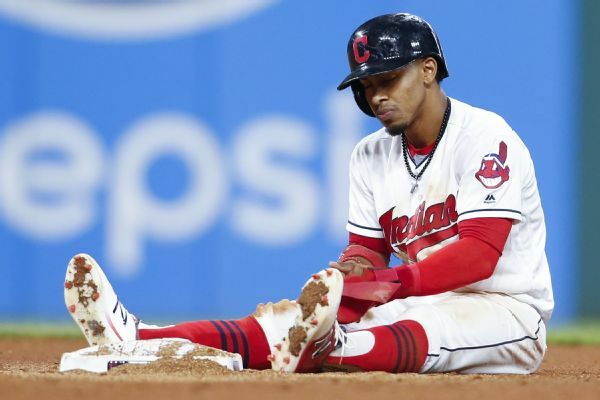 Indians shortstop Francisco Lindor was trying to work his way back from a calf injury before hurting his ankle while running the bases. 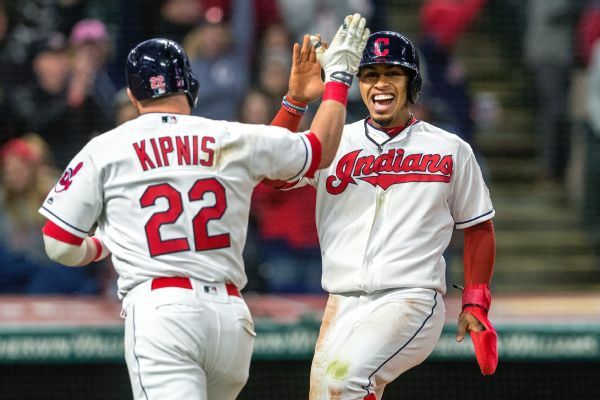 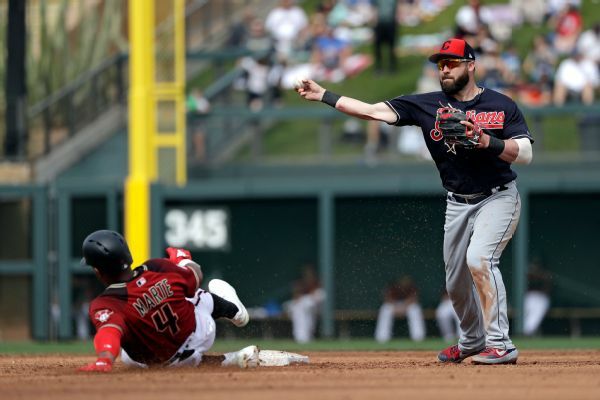 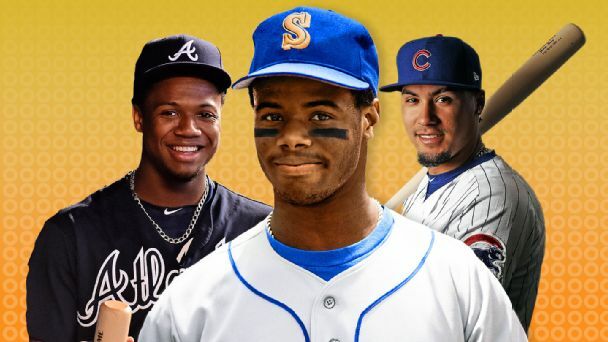 Indians shortstop Francisco Lindor and second baseman Jason Kipnis will not be ready for Thursday's Opening Day game against the Twins, the team announced.